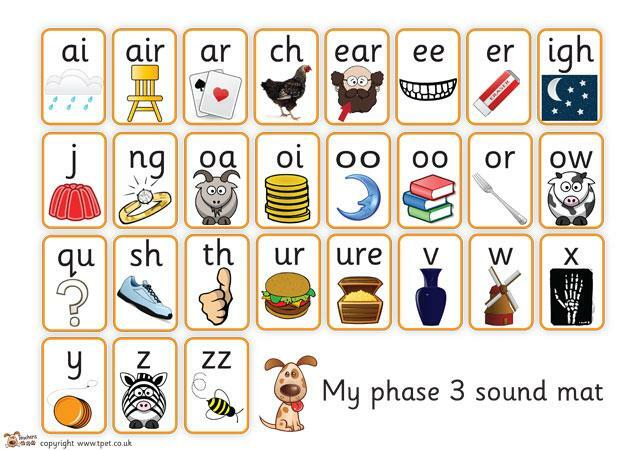 To teach another 25 graphemes, most comprising two letters (oa) so children can represent each of about 42 phonemes by a grapheme. Children will continue to practise CVC blending and segmenting. Children will learn letter names throughout this phase.